Are you planning to open a new restaurant? Wow, the restaurant business is super awesome! Apart from serving yummy food and relaxed ambience, having a catchy resultant name is also essential. The trend is changing, and people are looking forward to visiting fabulous restaurants with their friends and family. People nowadays prefer restaurants which have great ambience and funky name. Hence, before launching your food cafe make sure to look for creative restaurant name ideas. The name can be anything like a place, special dish, community, name of an owner, local landmark, etc. But, if you are planning to give a unique name to your resultant, the restaurant name generator comes extremely handy. What Is The Restaurant Name Generator? A restaurant name generator is a cool tool which usually generates a list of random names which can be used as name ideas for your new cafe. You can use these suggestions as it is or gives your creative twist to it. You can use these name generators to get fast food restaurant name ideas. Moreover, the restaurant name generator tool can be used to find creative names for the cafe, pub, eatery, food stalls, fast food, cafeteria, public house, canteen and a lot more. Decide a name which reflects restaurant theme and type of cuisine. Give a personalized touch by adding your name. You can also consider naming your cafe/food bar after a particular location; it works best when you are serving a specific location’s delicacies. Make sure to use the restaurant name generator website to speed up the process. Avoid generic terms and difficult to read fonts; it is a big turn off. If you are having trouble to find a catchy and innovative name, you can check out these five fabulous websites which can be used to find restaurant names. The best part is, using these tools is super easy. This is a cool website which displays a list of funny restaurant names, enters the type of food and city where you are planning to launch the food cafe. You can also select a catchy first word like “Your,” “Smart,” “A,” “The” etc. There is always room for little chance if you need. Try out this restaurant game generator and get a unique brand name. Moreover, this restaurant name generator website allows you to add the end word like “Restaurant,” “Foods,” “Cafe,” “Diner,” “Joint” etc. In addition to it, with the help of the Kopywriting kourse website, you can select the desired font type and see how does the final output looks. This is another fabulous website which world as an ultimate restaurant name generator because with few clicks you can quickly get more than 1 lac fast food restaurant name ideas. You can generate two or three words restaurant name. Don’t squeeze out your brain to find a catchy name for your website. Just use the Buzztime business restaurant name generator tool to detect possible food names. You can choose from more than 1 lac creative names. The website is easy to use, click on “generate name” button and select from the name shown. This website can be used to find out the name of the pub, café, eatery, food stall, etc. Are you looking for a single click restaurant name generator?? Business name generator is the right choice. It displays food place names and suitable ideas which you can be used name your food joint, cafe, food stall, etc. If you have some creative ideas or terms in mind, enter the word and click on the generate button. You can also select the needed character count. The Business Name Generator helps you to save ideas too, click on the star next to the name to protect the suggestion. 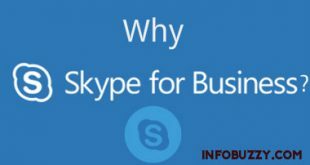 Moreover, when you use Business Name Generator, you can also see the trending words which you can smartly place once the resultant name is finalized. 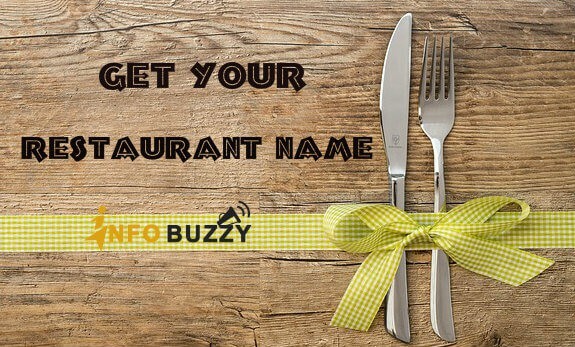 The BizNameWiz is a website which is specially designed to find the food business name; in fact, the BizNameWiz is also known as a food business name generator. This restaurant name generator comes extremely handy when you want to generate a name idea for your food business. Enter the proper food word and tap on the generate button. Simultaneously you can also check for the availability of the domain for the create restaurant name. The interface of BizNameWiz is similar to Business Name Generator website. You can also select the character count; it can go up to 15. This is another splendid website which can be used as a Cafe name generator. You get to choose from more than 1 lac potential names. All the names offers are exciting, and you can add you a dash of innovation to it. With WordLab you can get fabulous restaurant name suggestions, click on the “Get Name!” button and choose from vast options. Tap on the below mentioned link to get started. Last but not least, if you are looking for Cafe name generator use this restaurant name generator. You get up to 10 random names for hotel, eateries, and food bar. Moreover, you can choose the name in English as well as French. If you dont like the suggestions, click, you will be surprised by another new set of names. Now setting a name for your restaurant business is super easy, all thanks to the technology. With a single click, you can generate 100s of creative website name based on the type, cuisine, neighbourhood, food, owners name, etc. What are you waiting for? Tap on the restaurant name generator sites and pick a classy name for your new business. Previous How To Write An Essay Fast?